It’s often said that we know less about the ocean depths than we do about the surface of the moon. That fact was highlighted again this week when Smithsonian explorers published a paper about a new ocean reef zone, aptly called the rariphotic, where about half of the fish were previously undiscovered. Even with 21st-century advances in small submersible vehicles, accessing and documenting marine life still proves to be a challenge. But now engineers at the Massachusetts Institute of Technology hope to have a solution with a soft robotic fish named SoFi, which they say can get closer to real fish by imitating their behavior. “We’ve developed a soft robotic fish that mimics the movement of real fish and has now, for the first time, demonstrated an ability to swim alongside real fish in the actual ocean,” Robert Katzschmann, an MIT Computer Science and Artificial Intelligence Laboratory (CSAIL) doctoral candidate who lead the project, told Digital Trends. Katzschmann and his team think this is the first robot of its kind that can swim freely underwater. 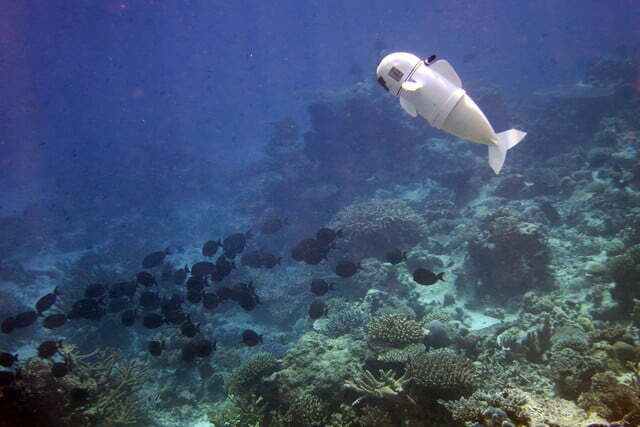 From the outside, SoFi looks like a rather unassuming rubber fish but it’s what’s inside the robot that matters. 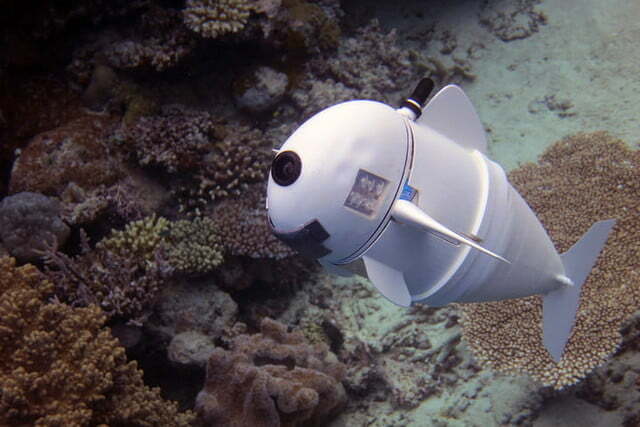 Electronics, including sensors and a Linux pc, are packed within its brain case, urethane foam offers buoyancy, and a hydraulic pump near its chest helps move the tail. By pumping water alternatively into two ballon-shaped chambers, the robot’s tail bends back and forth, powering the robot along. A camera at the front records it’s journey through the water. 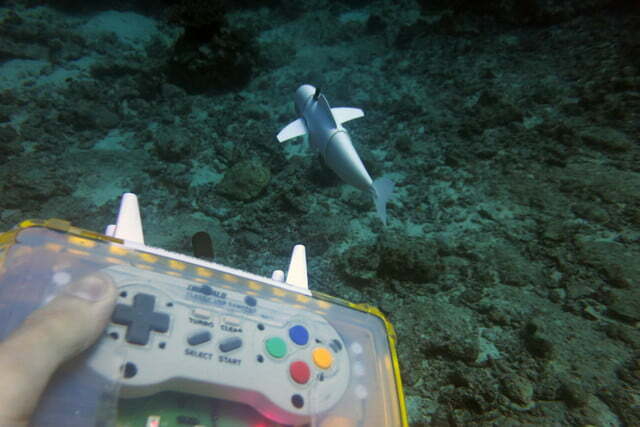 SoFi can be remote controlled via a waterproof Super Nintendo controller, adapted to communicate using ultrasonic signals. As it swims, it look a lot like a real fish gliding through the water — albeit a bit less gracefully. 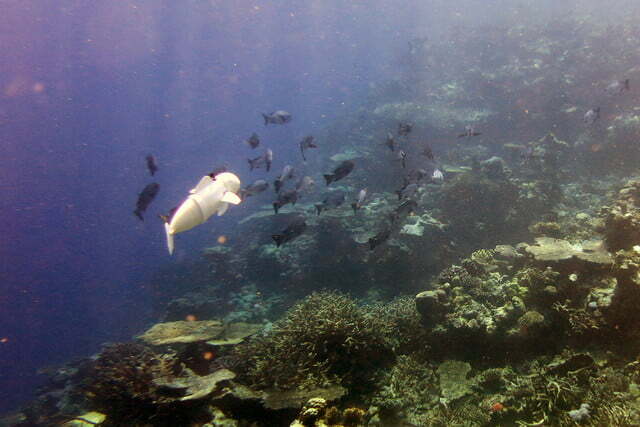 After testing the robot at Rainbow Reef in Fiji, the researchers said fish appeared to be unbothered by SoFi’s presence. Moving forward the researchers want to make SoFi faster and more autonomous, with onboard sensors that allow it to follow other fish. Although SoFi would make a nifty toy, Katzschmann and his colleagues hope the technology finds more a professional applications, giving marine scientists and engineers better access to underwater worlds. “The ability to more easily get water samples using robots would enable us to learn a lot more about more remote parts of the ocean,” he said. “Using them to inspect underwater infrastructure would allow for the more regular maintenance of hardware that may not otherwise be kept up to code … I could imagine one day being able to use several of these fish to record data from the ocean, including even taking water samples. I could also imagine SoFis someday being used for underwater inspection of critical infrastructure like oil rigs and pipelines.